Microsoft still reportedly remains committed to Windows 10 Mobile running on ARM chips. And what about the HoloLens? Intel’s plans to discontinue its Atom chips for phones and some tablets may not have killed the dream of a Microsoft Surface phone—just the piece of it that made it so enticing. Unless Microsoft has some other trick up its sleeve, the most compelling justification for a Win32-based Surface phone appears to have died. At Mobile World Congress, Intel CEO Brian Krzanich broke out a drone to show the kinds of devices that Intel would eventually base its company upon. Intel’s decision was first reported by analyst Patrick Moorhead, and confirmed by IDG News Service and PCWorld. Intel told PCWorld that it plans to kill the “Broxton” Atom platform as well as all the flavors of its SoFIA chips, which combined Atom cores with 3G and LTE modems for smartphones. The company said it will continue to support tablets with a 3G derivative of the SoFIA chip, the older Bay Trail and Cherry Trail, as well as some upcoming Core chips. Microsoft uses a Cherry Trail chip inside of the HoloLens, but it's unclear whether or not that will be affected. Intel said recently that it plans to refocus on the data center, the Internet of Things, memory, 5G modems, and connectivity. To so, Intel will lay off 12,000 workers over the next year or so. But some Atoms apparently fell in the wake of a comprehensive program by Venkata Renduchintala, the new president of a newly created Client and Internet of Things (IoT) Businesses and Systems Architecture Group, to examine the viability of products across Intel’s client businesses. Intel once had plans to retake the smartphone market with an integrated 4G/microprocessor SoC called “SoFIA.” Those plans are now dead. 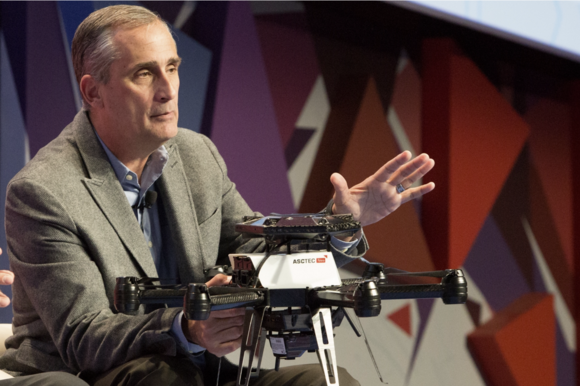 Intel chief executive Brian Krzanich spoke optimistically about the phone business in 2014, and a year ago appeared prepared to do whatever it was necessary to make phones succeed. Now, Intel has acknowledged its defeat on the phones front and vowed to fight elsewhere. “The reality is that if you’re going to spend money, you have to take it from somewhere else,” Moorhead said. So does that mean that the dream of an Intel-based Windows phone is dead? “Yes, if they’re not going to go after the smartphone, I don’t see how that would be possible,” Moorhead said. If Microsoft does remain committed to an X86-compatible Surface phone, it does have some options, however unattractive. Intel recently announced its next-generation Apollo Lake Atom architecture, which Intel positioned as the foundation for, not a phone, but an “entry level PC.” The Apollo Lake chips will be branded as Atom, Celeron, and Pentium, Intel said. Intel hasn’t said exactly how much power the Apollo Lake chip will consume, though it’s made on the same 14-nm process as the existing “Cherry Trail” Atom chips. 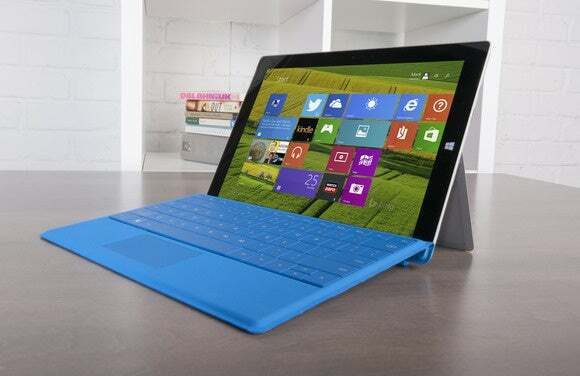 The Atom X7-Z8700 used in the Surface 3 is rated at just 2 watts of power. Does that mean that it (or Apollo Lake) could be squeezed into a phone or phablet running Windows 10 Mobile? Could the Surface 3 be turned into a phone? That also means that that phone would have to have a discrete modem built in. Kevin Krewell, principal analyst at Tirias Research, noted that the SoFIA chip Intel cancelled was its first to have an integrated modem, which would make the phone even larger. Unless AMD can somehow cut the power of its embedded chips—an aging AMD G-series LX still consumes about 5 watts—the only way to enable Win32 compatibility may be through virtualization. That’s the strategy HP’s Elite X3 is reportedly using, though that virtualization is back up through the cloud and back down to the phone. It appears, based on this Windows Central FAQ, that a business will have to tailor this compatibility with HP itself on an app-by-app basis. HP’s Elite x3, shown here resting inside its Desk Dock, will ship this summer. Even then, however, it’s hard to imagine a scenario where a phone that needs to communicate with the cloud to perform virtualization in a faux-desktop environment wouldn’t end up sitting next to a computer or thin client that does the same thing, Miller pointed out. So... same old, same old? Which, of course, is exactly what Microsoft is shipping today: Windows 10 Mobile on ARM processors. 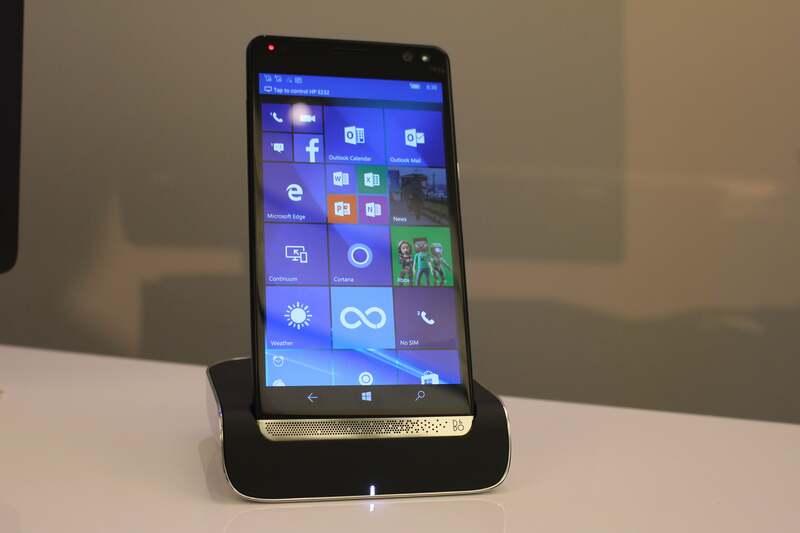 But sales are still plunging, and Microsoft is giving its phones away as a result. 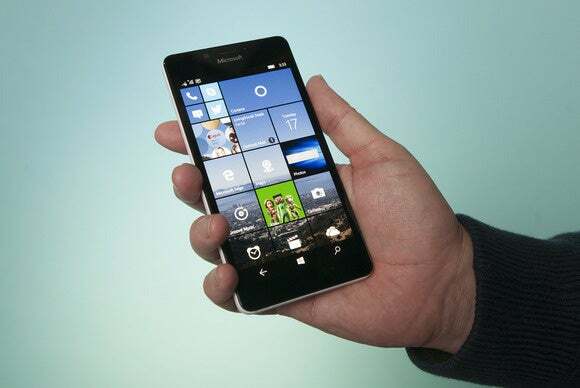 Consumers just never fell in love with the Lumia 950, and Microsoft’s Windows 10 Mobile OS is still hovering at less than 10 percent share of all Windows phones, according to AdDuplex. 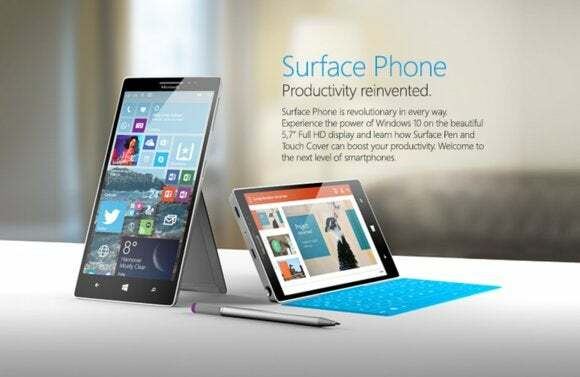 Slapping a Surface brand on an existing Windows phone won’t save Microsoft’s phone business. Microsoft needs a compelling message that it can uniquely deliver: “the tablet that replaces your PC” was the tagline that sold the Surface lineup. It’s possible that Microsoft has another moonshot in place for its mobile business—who knows, maybe it’ll make the Microsoft Band its “phone” of the future. Stability issues aside, the Surface Book demonstrated that Microsoft can craft innovative hardware using the same components its competitors use. For right now, though, it appears another door has closed on Windows Phone. And that’s just not good news for a platform struggling as hard as it is. Additional reporting by Gordon Mah Ung. Updated at 5:02 PM to note that Microsoft uses a Intel "Cherry Trail" Atom inside the HoloLens, according to an IDG News Service report.